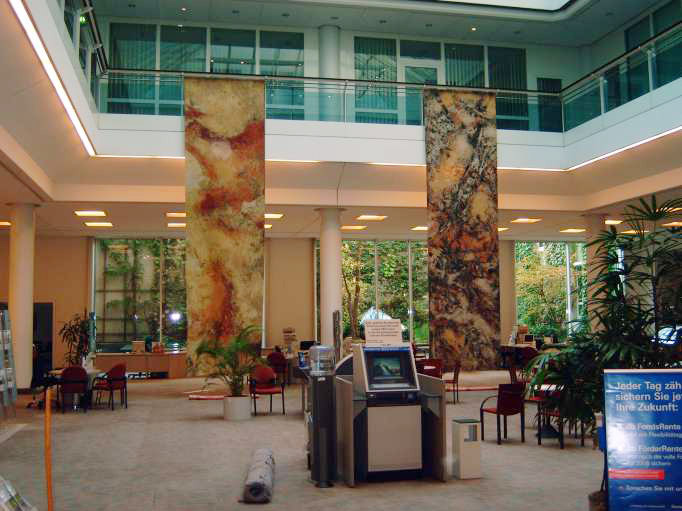 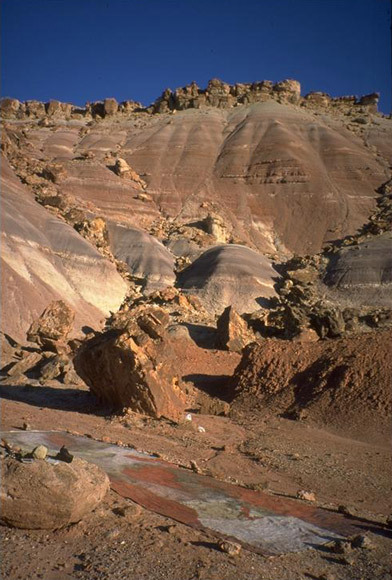 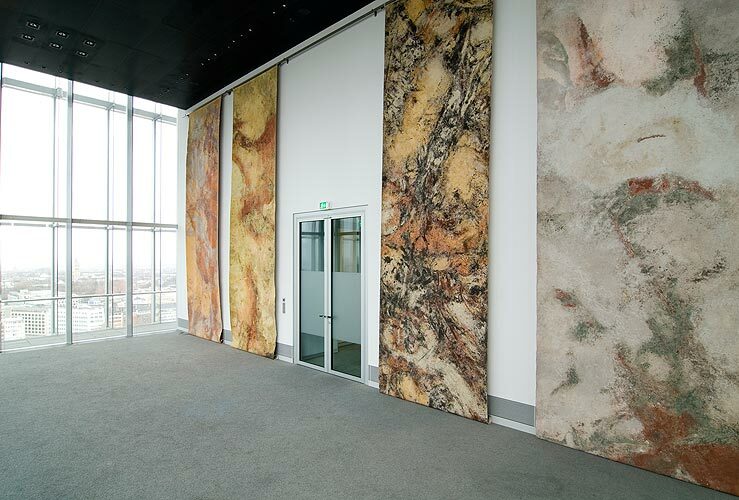 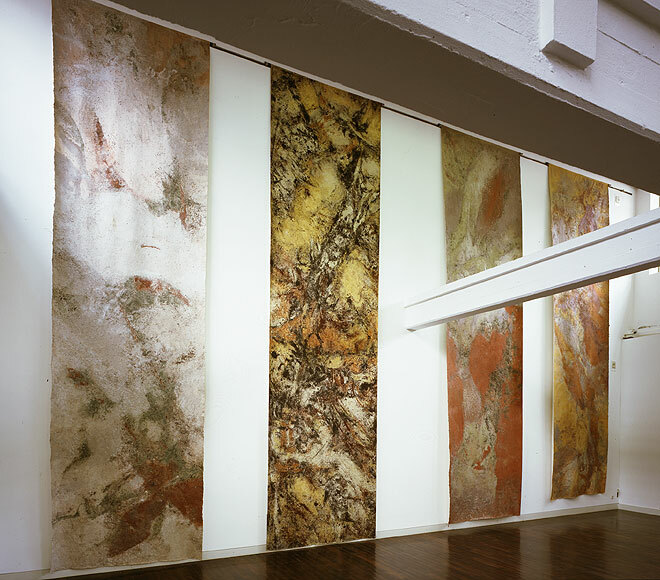 The Earth paintings of this project were first shown at the Natural Reality exhibition of the Museum Ludwigforum, Aachen in 1999. 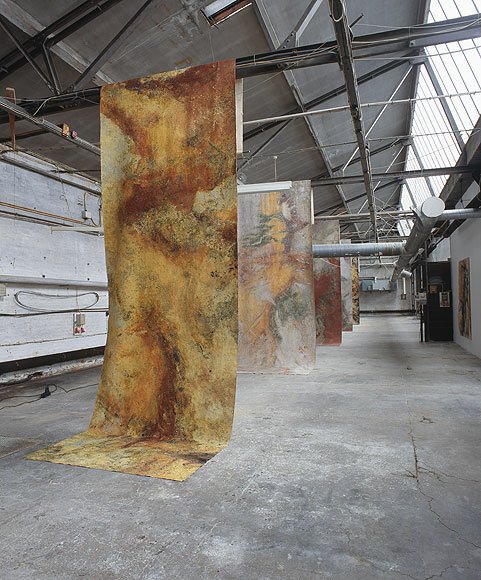 Later they were exhibited in Wuppertal, Cologne, Düsseldorf and Berlin. 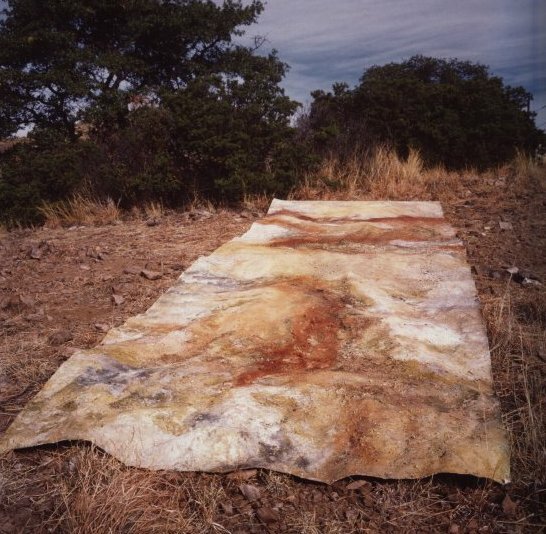 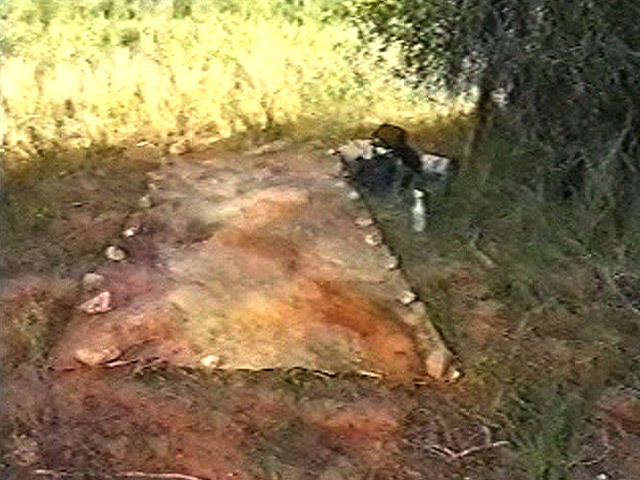 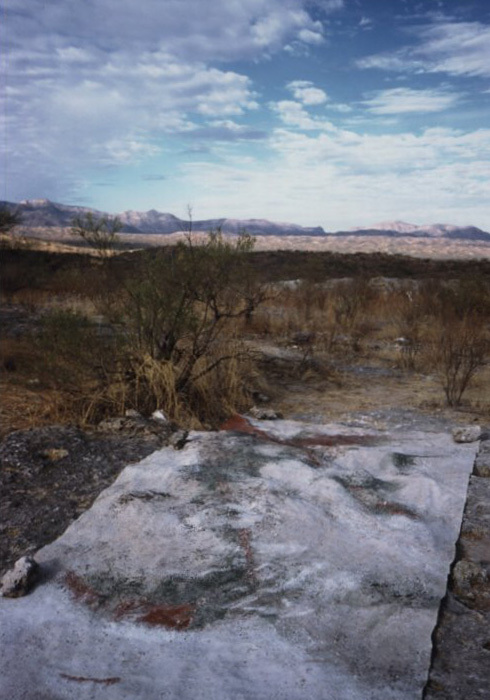 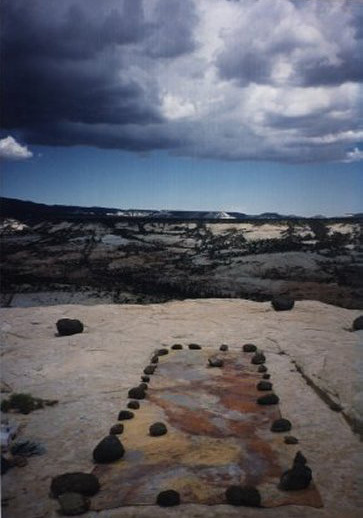 In 1998 and 1999 Ulrike Arnold worked in the Southwest of America and Mexico on site. 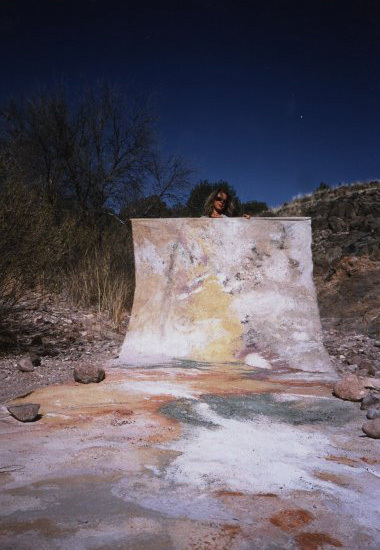 She created 7 paintings with the earth of 7 magic places. 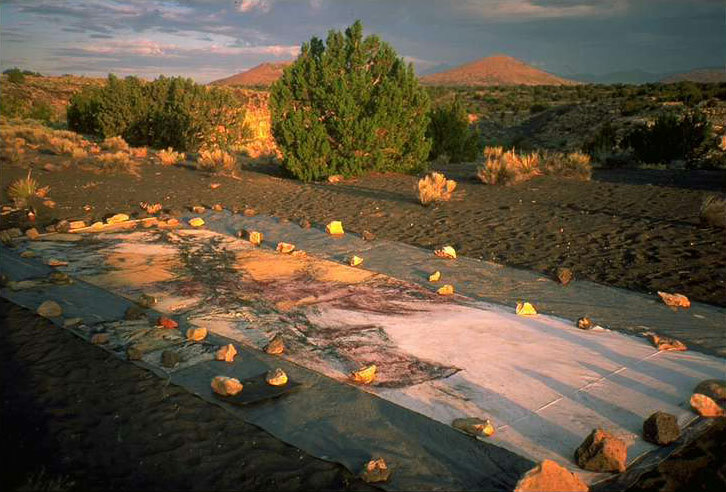 The seven pieces are each twenty feet long and five feet wide.